Across Your Face: These are a sign of the times! I'm sorry for all of you that clicked on this expecting a Cro-Mags "Age of Quarrel" post, but that will be coming soon. Wait, why am I lying? I'm not sorry at all, I did this intentionally to trick you into clicking on my rap post! Mwa ha ha... well now that you're here you might as well read about it, right? 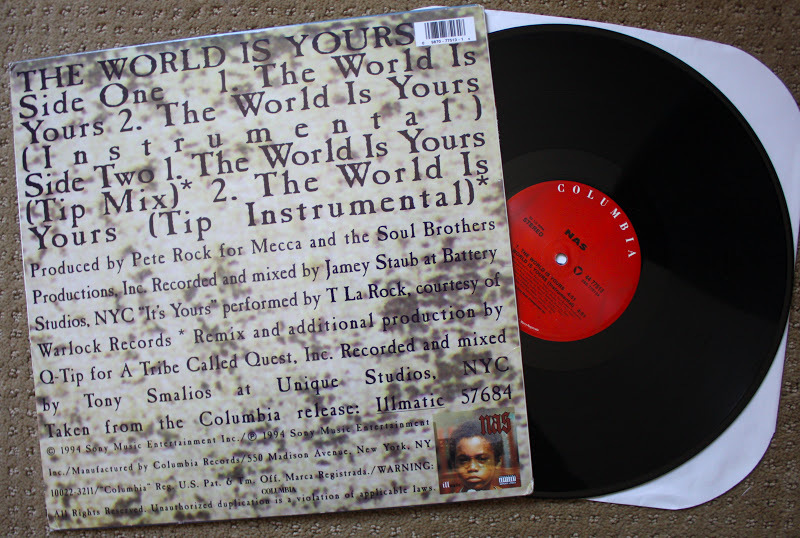 Here is a single for "The World is Yours" off of Nas' debut "Illmatic". It can be argued that Illmatic is THE BEST hip hop album ever made. Yes, THE BEST hip hop album EVER made. The quality of production is just incredible as well as Nasty Nas' ruthless rhymes. With the production being split pretty much 50% between DJ Premier and Pete Rock, the two most prolific hip hop producers of all time, every single song is an absolute classic on this. 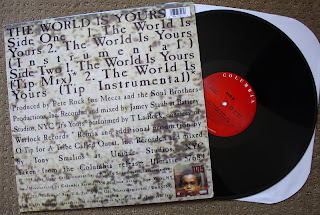 "The World Is Yours" just happens to be one of my favorite tracks from this incredible album. What's funny is I had this as my ring tone on my phones all throughout high school. I used to have a little Nokia phone and they charged some silly price for ring tones, I think I bought this song for $5 and then it basically transferred onto all my other phones I bought after that. But the song was a little weird ring tone version with no lyrics, so it sounded like some weird computerized elevator music. Cause while it's over me it's too dark to see tomorrow"